Canvassers geared up for a long day of conducting surveys. 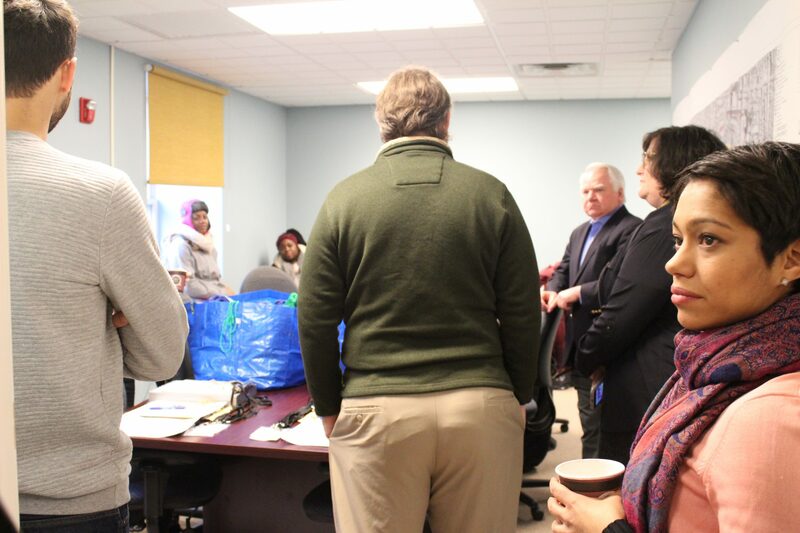 Mayor Richard Turner and Township Manager Giovanni Ahmad visited the volunteers before they began their work. Volunteers head out to canvass the area. Hudson County has long faced the problem of a sizable homeless population. Thanks to recent volunteer efforts by local and county nonprofit organizations, the magnitude of the homelessness issue in the county will be better quantified. Communities receiving federal Housing and Urban Development (HUD) grants for their homeless programs are required by law to conduct “point-in-time” counts on the last week of January to get a better scope of homelessness on a community level. This year, the canvass took place on Jan. 23. The more volunteers communities have, the more accurate the counts are. Accurate counts can mean more funding for programs helping those in need. South Hudson towns have a high concentration of homeless people. Consequently, North Hudson communities worry that they won’t have enough volunteers for canvassing. 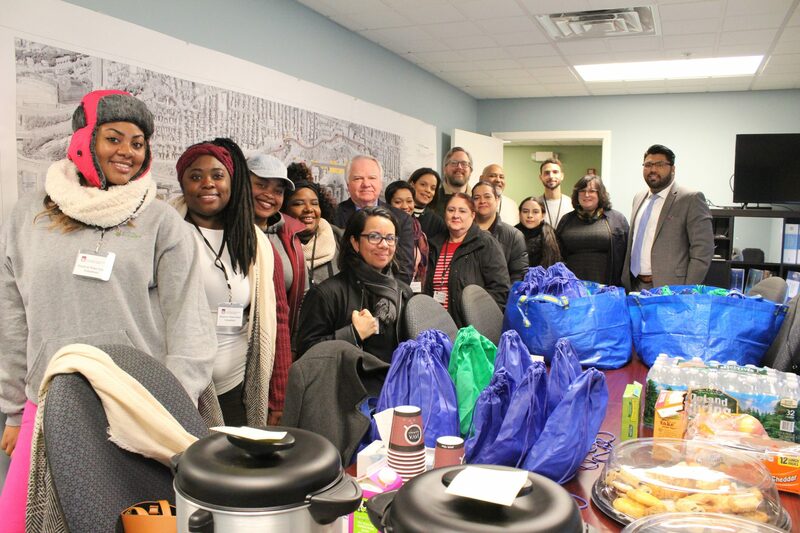 This year, a few new nonprofit organizations, such as the Hudson Partnership Care Management Organization (CMO), a Secaucus-based social service organization, and Family Partners of Hudson County, as well as the governments of Weehawken, West New York, and Guttenberg combined volunteers for a larger team. Nonprofits Palisades Emergency Residence Corporation (PERC) and North Hudson Community Action have been the torchbearers for the annual canvass for the past decade; this year they received a windfall of new volunteers. Those canvassing North Hudson got together at the Weehawken Elks Lodge to prepare for their 12-mile route. Maps were set up so that canvassers knew which areas were most important to visit. Areas where homeless people congregate were largely gathered from shelters and non-profits through word of mouth and community outreach. 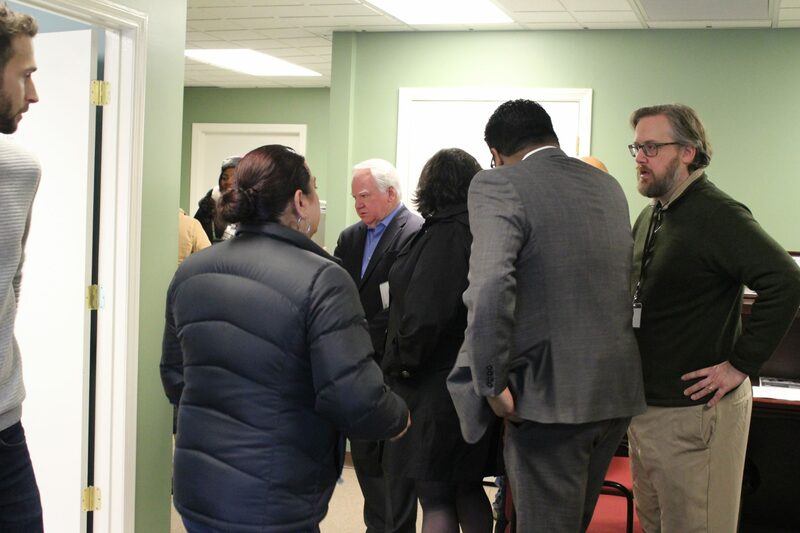 Weehawken Mayor Richard Turner and Township Manager Giovanni Ahmad, who arranged for Weehawken’s involvement, stopped by to discuss the project. Turner thanked the canvassers for their efforts, as well as the services they provide year-round to both sheltered and unsheltered people in the area. He said Weehawken would continue the collaboration with nonprofits helping the homeless. Michelle Musumici attended the canvassing meeting on behalf of North Hudson Community Action and expressed gratitude that more volunteers were teaming up for the effort. Robyn Gorman, CEO of Hudson Partnership CMO, said that she saw funding as mostly focused on the more populated southern end of the county, while homeless people in North Hudson could be better served by volunteer canvassers. She and some case workers from Hudson Partnership joined the team for their first year on the project.